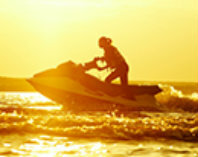 If you suffer from the Mondays, consider a recreational vehicle loan. The promise of a Saturday boat ride or RV road trip should be enough to get you through the work week. Let us design a loan to fit your needs. The only thing you'll have to work out is how to get more time off. Apply today!